Harry Potter's holly wand - 14" long, brown plastic with faux wood detail. Hermione Granger's vine wand - 15" long, light brown wood-tone plastic with vine tendril detailing. Ron Weasley's ash wand - 13.25" long, medium-brown plastic with faux wood detail. Draco Malfoy's hawthorn wand - 13" long, dark brown plastic with faux wood detail. 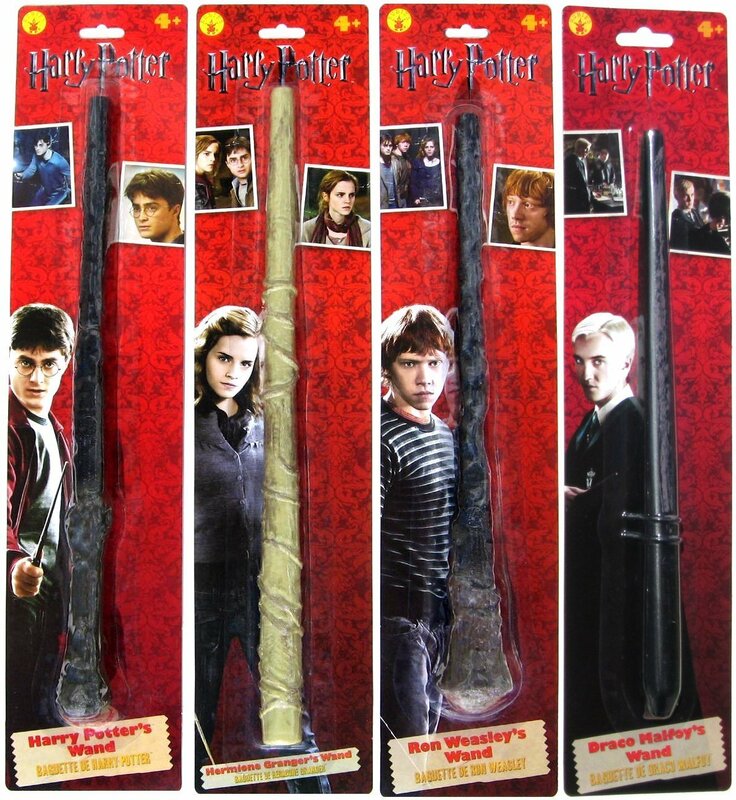 This unique 4-piece collection includes one plastic wand replica from each ofthe four main characters in the wildly popular Harry Potter book and movieseries. Perfect for conjuring up lots of fun! Must-have for collectors andfans, great for costumes, makes a great gift.